There are few actors who truly seem to do it all: movies, TV, parenting, activism, humor, a great beard… yes, we’re talking Adam Scott here. The actor-dad extraordinaire does all that and more, plus somehow never picks a bad project — we don’t know about you, but we even liked 2015’s strange but spot-on The Overnight — all while managing to be both heartfelt and hilarious (and above all relatable) on-screen at all times. How does Scott pull it off? Well, if you ask him, the keys seem to be a) his wife and b) keeping his kids out of the Hollywood spotlight. 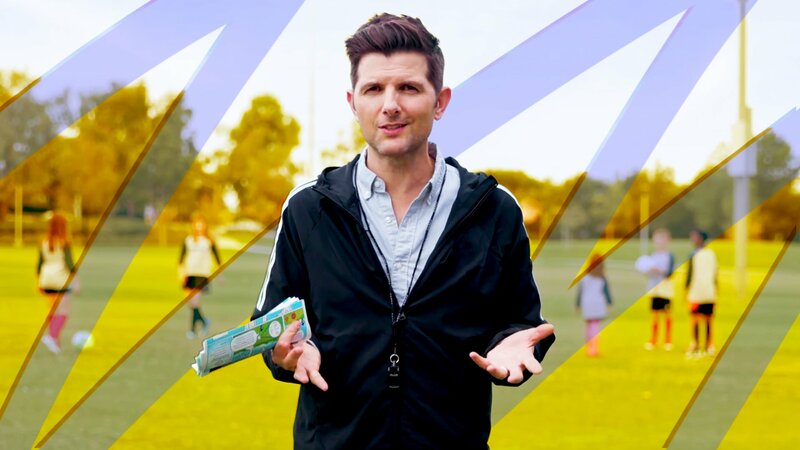 We were lucky enough to chat with the actor recently about all of the above, plus his kids health campaign with Stonyfield, the Parks & Recreation reunion and, of course, Scott’s return as Ed for Big Little Lies season two. Sadly, he’s keeping pretty mum on the latter — but it sounds like it’s going to be dra-maaaa. SheKnows: How’s dad life treating you? Kids doing any particularly weird things these days? 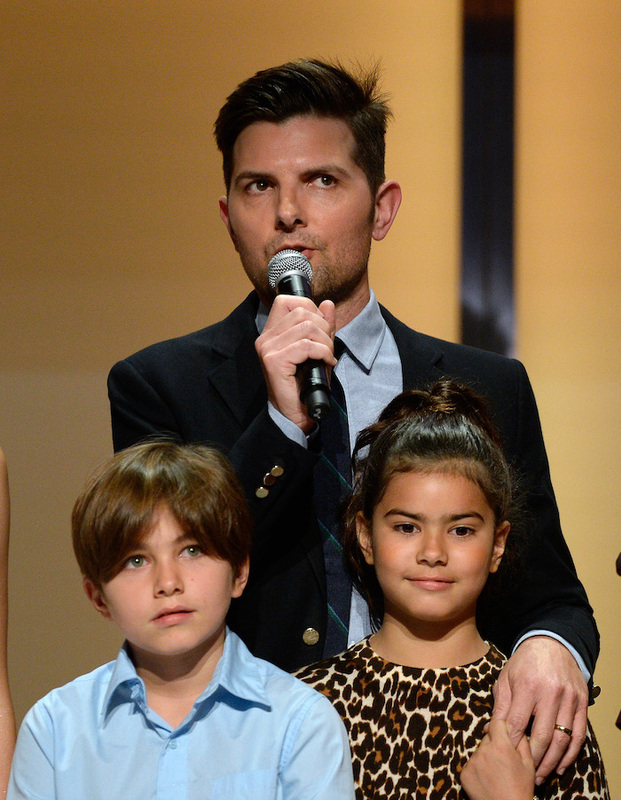 Adam Scott: They are both growing up incredibly fast. Much faster than any other kids ever have. Look it up; it’s true. SK: Oh, I believe you. Speed growth. It’s a thing. What’s one way your kids’ personalities really resemble yours? AS: My wife and I try to be politically active and community-minded and have tried to pass that same spirit on to our kids. Suffice it to say, these last few years have been a great lesson in putting practice into action. This movement that Stonyfield started to remove toxic pesticides from kids playing fields was another great learning lesson too. SK: Yeah, it seems you’ve really hopped onto the eco-parenting bandwagon. How are you battling all the chemical nasties our kids face on the daily? AS: I was particularly excited to get involved with this campaign — I couldn’t believe what I was hearing about the chemicals that are sprayed on the fields and public spaces that our children play on. I want to make sure other parents are aware too, and arm them with information to make a difference in their own communities. In a lot of ways, I feel our kids’ futures are on the line right now. It’s not the time for me or anyone to be sitting on the sidelines. The federal agencies in charge of protecting people — kids especially — from dangers like these toxic persistent pesticides are being dismantled more and more day by day. It’s outrageous that we even have to be concerned about things like this — as parents, we all have enough to worry about. SK: We definitely do. Do people ask you, as a working dad, how you “do it all”? Because, spoiler: Working moms get asked that constantly, and it seems dads rarely do. AS: Well, I couldn’t do it without Naomi. We have a great partnership at home and professionally, so it makes the family juggling act that much easier when we can all be together. We try to keep the kids grounded and away from all of the Hollywood stuff so they can be kids as long as possible. AS: Party Down, that was so much fun. That would be great. It’s been a while, so I’m not sure if anything will happen or if we should even let anything happen. We’ll see. SK: Anything you can tell us about the upcoming season of Big Little Lies? We really hope Ed’s amazing beard will be making some more appearances, whether or not it’s while singing Elvis. AS: I really can’t say anything, but it’s pretty juicy. People will not be disappointed. SK: What’s one thing about your current life that younger, pre-dad Adam would never believe? AS: Probably that I actually get to do what I love every single day. Getting to do work I enjoy, being a father, using what voice I have to lend to causes like this one — I just feel lucky. I wish even better for my kids.